A lovely spring afternoon, the suns gentle reminder that spring is here bringing warmth to your guests as you gather around the elegant outdoor patio furniture for a freshly prepared waterfront lunch. The songbirds are out, and blooming flowers radiate the anticipation of a gorgeous summer to come. Such are the joys of the outdoor lifestyle. 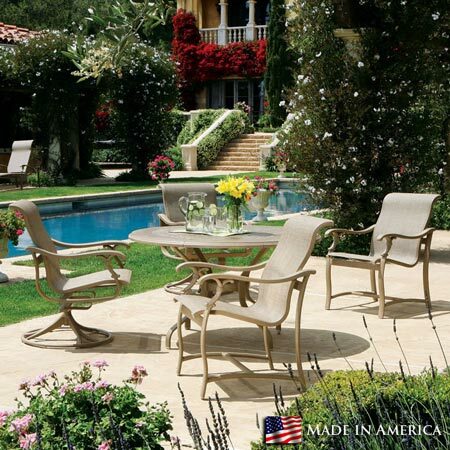 Since 1954, Tropitone has upheld a tradition of excellence in the manufacturing and design of outdoor patio furniture, outdoor bar stools, chaise lounges, patio chairs, outdoor dining chairs and outdoor furniture sets. If it is outdoors, we will furnish it. With leading edge designs in both consumer and commercial markets, Tropitone helps create stylish outdoor living solutions. From our exquisitely detailed and luxurious traditional outdoor furniture, that exudes fashion and sophistication, to outdoor furniture collections that offer a more urban, sleek, contemporary feel. 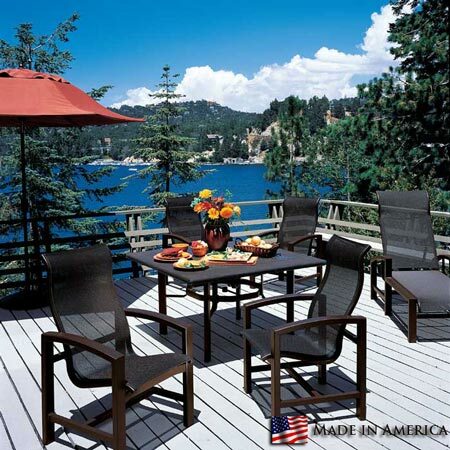 Tropitone outdoor furniture will satisfy your desires for a more modern or traditional style without sacrificing the pure comfort of outdoor living. 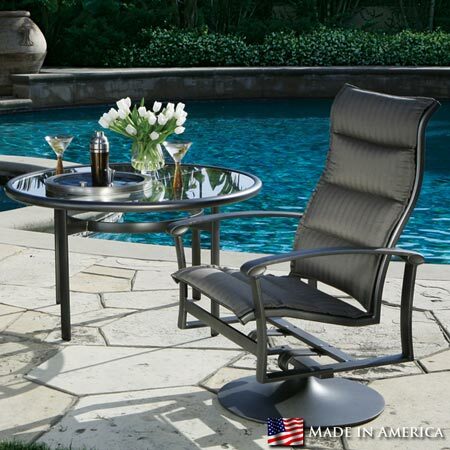 With the widest selection of outdoor patio furniture styles, finishes, colors and fabrics finding elegant, comfortable furniture to fit your personal style is both simple and affordable. 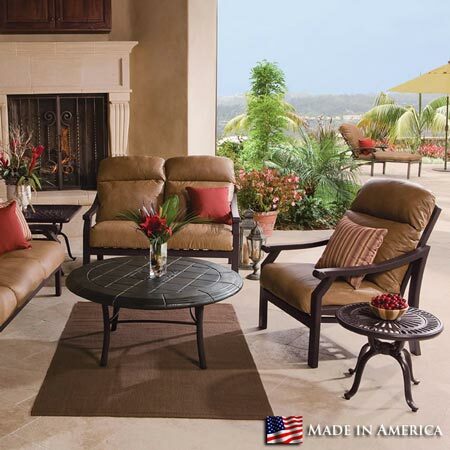 When outdoor living enthusiasts are looking for the highest quality traditional, classic and contemporary outdoor patio furniture, but want to fully customize their outdoor furniture, Tropitone is the answer. 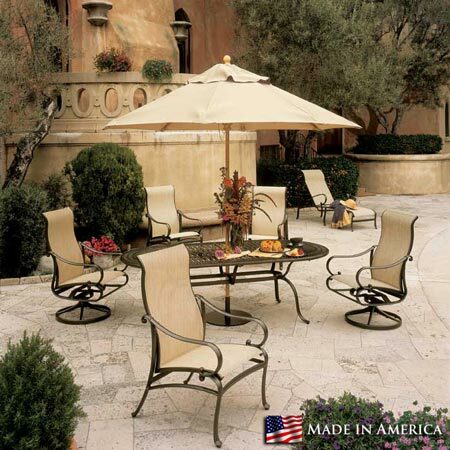 With over 300 fabric options, a wide variety of finish palettes, tops and styles to choose from, Tropitone allows for the creation of the perfect outdoor patio furniture environments; allowing you to entertain guests in comfort. You can count on Tropitone outdoor patio furniture to remain fashionable, comfortable and express your style for years and years. Tropitone uses a super pure reinforced extruded aluminum material that is considerably stronger than any cast aluminum product. Tropitone uses all stainless steel fasteners, hardware and fittings as well as high-density nylon bushings and glides. Tropitone has a powder-coated finish that utilizes a multi-step wash process to ensure the longest lasting and most durable finish available in today’s market. Only the highest quality 100% solution dyed fabrics available are used on Tropitone furniture. All fabrics have been rigorously tested for durability and weather resistance. Troptione is proudly made in the U.S.A.
To ensure you get the most out of your investment in quality, please follow our simple Product Care Guidelines. 15-Year Consumer Warranty (Read Complete Warranty).